Enjoy the wonder of wireless with the smart-looking Logitech Combo MK270 Wireless Keyboard & Mouse Set. 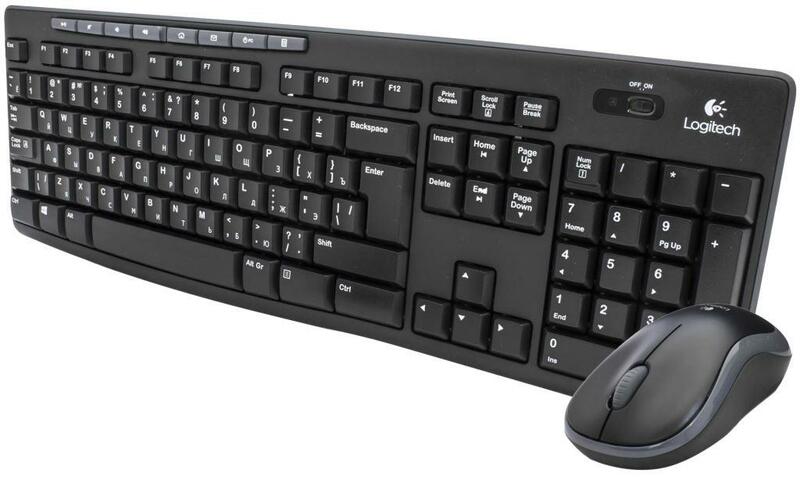 The Logitech Combo MK270 keyboard and mouse use 2.4 GHz wireless technology, providing a reliable and secure connection without dropouts or delays. It has a 10 metre range, and uses the compact Logitech Unifying receiver, which receives the signal for both your wireless keyboard and mouse so you don't need to use two USB ports. It can be stored in the internal storage compartment in the mouse when you're out and about, helping to keep it safe. Enjoy the wonders of reliable wireless with the smart-looking Logitech Wireless Keyboard K270 and the tiny Logitech Unifying receiver that is small enough to stay in your laptop and connect whenever you need to use your keyboard. Plus, you can easily add another compatible mouse, keyboard or number pad without the hassle of multiple USB receivers. Logitech Advanced 2.4GHz wireless connectivity gives you the reliability of a cord from up to 10m away. Auto-frequency switching means you'll enjoy virtually no signal loss, even in the busiest wireless environments. 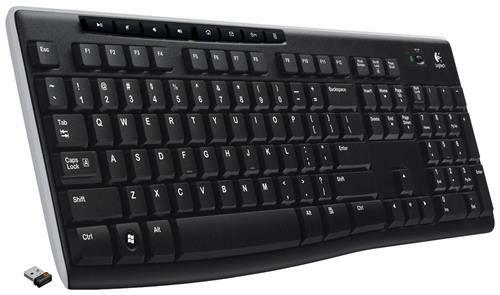 This Logitech wireless keyboard helps keep your information secure with 128-bit AES keyboard encryption, one of the highest levels of security available.